Note: While this review will be spoiler free, it will reference previous books. 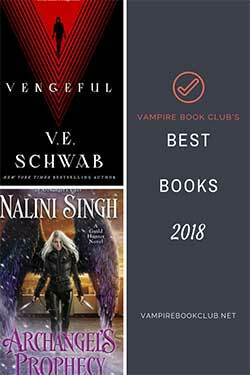 If you haven’t started this series yet, check out VBC’s review of the start of this new story arc at book 23, Runaway Vampire. When one needs to get away, an all-inclusive resort in Punta Cana seems like the way to go. For Raffaele Notte and his cousins, Zanipolo and Santo, their relaxing vacation has just taken a turn for the strange when they pull an unconscious and nearly naked woman from the ocean. When the woman, Jess, comes to she’s faced with the earth-shattering realization that vampires are real, and she just witnessed a bunch of hapless tourists being lured aboard a pirate ship “shark” feeding tour. Rather than become the next snack, Jess jumps overboard to swim for shore, which brings us up to speed with Raffaele pulling her out of the ocean. Now, Jess is on the run from the Immortals who she escaped from, and Raffaele is there to help her, and neither can deny the sparks of attraction whenever they’re near each other. However, while Raffaele knows he’s found his life mate, with Jess’s recent unpleasant experience with Immortals, he can’t figure out how to broach the subject that he too is of the blood consuming variety, and the longer he waits to tell her the worse the reveal gets. 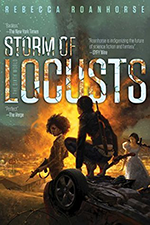 I’ve really enjoyed the way that Lynsay Sands has been able to continually breathe new life in this series with each story and explores different avenues to take her characters. She’s not afraid to acknowledge the longevity of this series and the almost too confusing family tree that’s developed. Vampires Like it Hot deals a lot with perception. Jess’s experience with the “vampirates” immediately clouds her judgment, which is understandable as she has no previous knowledge of Immortals. For long-time readers of the series, we too have clouded judgment when it comes to those considered Rogue Immortals as they’ve always been labeled the “bad guy.” If nothing else, this book makes it known: not all is as it seems. It’s not as simple as black and white, good versus evil. I’ll admit to being in the same boat. Making assumptions. I liked that Lynsay Sands chose to paint a different picture, and I’m interested to see if this will start off a new story arc for the series. As far as Jess and Raphaelle, they proved to be a typical romance relationship. Albeit, one with an extreme secret between them. The inevitable moment when Jess discovers the truth drives the story forward. 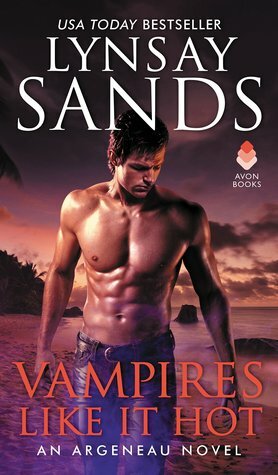 Lynsay Sands never fails to provide, and has continued to provide entertaining reads with a series that continues to give readers fresh new takes on tried-and-true tropes.